Threadless is having competition were you can design knit products. I liked the idea of designing a scarf and thought about objects that wrap-around things. 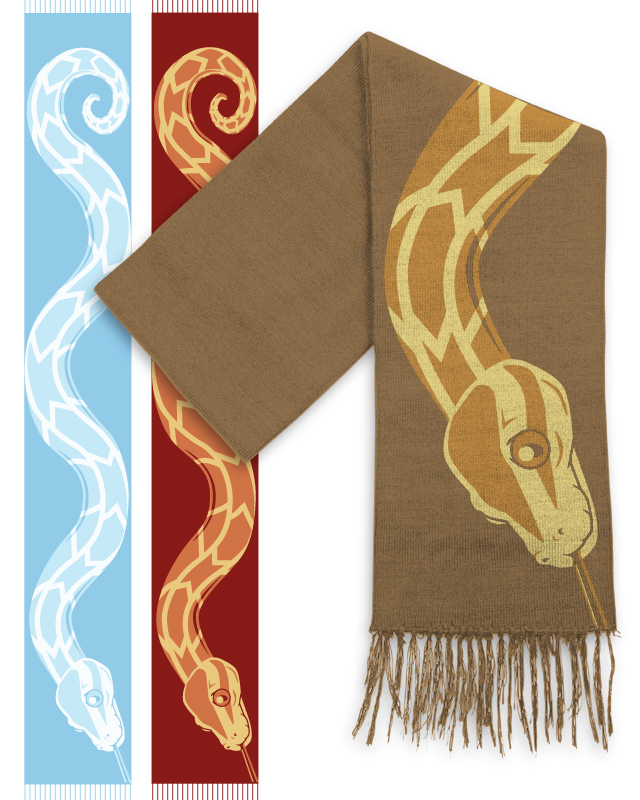 I came up with the idea of a snake which I felt was a little ironic considering snakes would not survive in the cold weather a scarf requires. Maybe the snake needs the scarf wearer to keep warm more than vice-versa. Carry your companion in cold weather. Clever! I've never heard of Threadless, but now I want to check it out.